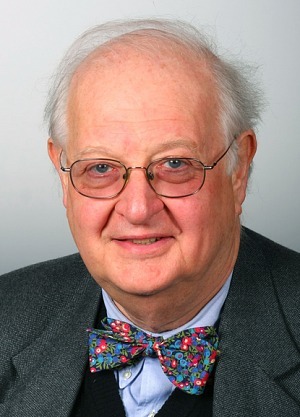 The Sveriges Riksbank Prize in Economic Sciences in Memory of Alfred Nobel 2015 was awarded to Angus Deaton "for his analysis of consumption, poverty, and welfare". ANGUS DEATON: He is a UK and US citizen. He was Born 1945 in Edinburgh, UK. Ph.D. 1974 from University of Cambridge, UK. Professor of Economics and International Affairs, Princeton University, NJ, USA, since 1983. Announcement of the 2015 Prize in Economic Sciences 2015 by Professor Göran K. Hansson, Permanent Secretary of the Royal Swedish Academy of Sciences, on 12 October 2015. After the announcement, Jakob Svensson, Member of the Committee for the Prize in Economic Sciences in Memory of Alfred Nobel, was interviewed by freelance journalist Henrik Höjer about the 2015 Prize in Economic Sciences. How much of society`s income is spent and how much is saved? To explain capital formation and the magnitudes of business cycles, it is necessary to understand the interplay between income and consumption over time. In a few papers around 1990, Deaton showed that the prevailing consumption theory could not explain the actual relationships if the starting point was aggregate income and consumption. Instead, one should sum up how individuals adapt their own consumption to their individual income, which fluctuates in a very different way to aggregate income. This research clearly demonstrated why the analysis of individual data is key to untangling the patterns we see in aggregate data, an approach that has since become widely adopted in modern macroeconomics. How do we best measure and analyze welfare and poverty? In his more recent research, Deaton highlights how reliable measures of individual household consumption levels can be used to discern mechanisms behind economic development. His research has uncovered important pitfalls when comparing the extent of poverty across time and place. It has also exemplified how the clever use of household data may shed light on such issues as the relationships between income and calorie intake, and the extent of gender discrimination within the family. Deaton`s focus on household surveys has helped transform development economics from a theoretical field based on aggregate data to an empirical field based on detailed individual data.